Do you want crowds to hear you (or your music) clearly and powerfully? If so, you are probably interested in buying a portable public address system. 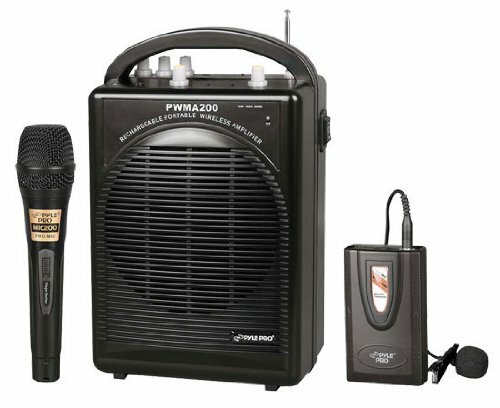 These portable PA systems have become more and more powerful, portable and affordable over time- so you're in luck! Whether you are an aerobics instructing who wants to be heard over blaring Beyonce, or a public speaker that needs an on-the-go PA system to address your audience, check out our comparison table below to get a quick sense of the best-selling systems on the market today. The Audio 2000S is a solid option for music enthusiasts and community speakers. The PA system has an operating range of about 100 feet. It is generally appropriate for street musicians, small meetings, hotel conference halls, church, class rooms and teaching professionals like aerobics instructors. The audio system has an inbuilt rechargeable lithium ion battery. The transmitter can be handheld or used as bodypack. If you want to mute audio, the on/off switch is easily accessible – which is a convenient feature. The product is reasonably priced includes two microphone sets. 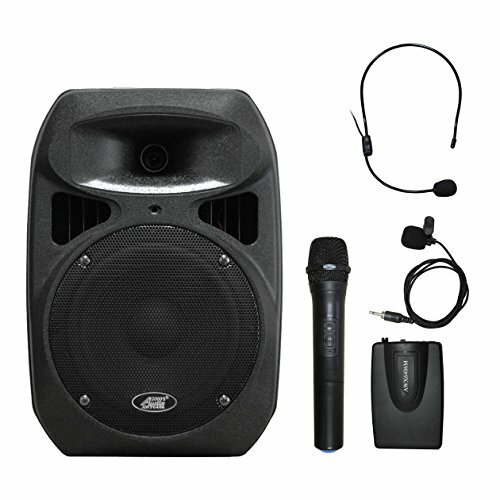 This 6.6 lb PylePro system is one of the most affordable Portable Public Address tools available. The wireless lavalier headset works adequately within a distance of 100 feet. The portable system is light in weight and compact, making it easy to carry it and set it up in a venue. The sound quality is on par with that of a wired amp. Separate volume controls for the wired and wireless microphone is an added advantage. This Hisonic PA system is our top pick, combining a good price with solid tone quality and volume. It is appropriate for indoor/outdoor events, with users recommending it for choir rehearsals, book launches and aerobic instructors. The high power lithium battery is long lasting and rechargeable. The system includes one each of the following: a handheld Microphone, a body transmitter, a headset mic and a lavaliere Mic. The auxiliary jack for audio input is also included, so you can easily connect your Mp3, CD or cassette player to it. 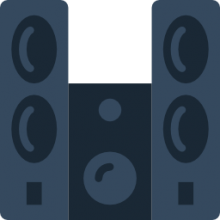 The system is convenient to carry around, which is why it is preferred by professional studio instructors, auctioneers, teachers and others who require a versatile portable PA system. This 40 lb MUSYSIC PA system has a range of 120 feet and comes equipped with roller wheels for easy transport. If you are looking for a top quality portable PA system for a bit more money, the MUSYSIC portable wireless system might be a good purchase. User feedback is for the most part positive, reporting that this PA system’s sound is fairly clear and that exhibits little to no perceptible distortion when in use. The system also has some very good specs such as inbuilt Bluetooth, slots for an SD reader, USB, recording functionality with direct play back ability, FM radio, as well as a talk over function. Users report the battery working for 3 and a half hours and comes with a useful battery-level indicator to ensure timely recharging. This 17 lb, 50 watt Audio Tailgater PA system is Bluetooth equipped, which means its especially handy if you plan on streaming your music from a mobile device. You can also play music from your CD player via an auxiliary input. The USB power bank can be used to charge tablet, smartphone and other such devices. Long battery life that extend up to 50 hours makes it very convenient to use in outdoor events. Intuitive controls with a digital display make it pretty easy to make adjustments on the fly. What are customers saying about Portable PA systems? 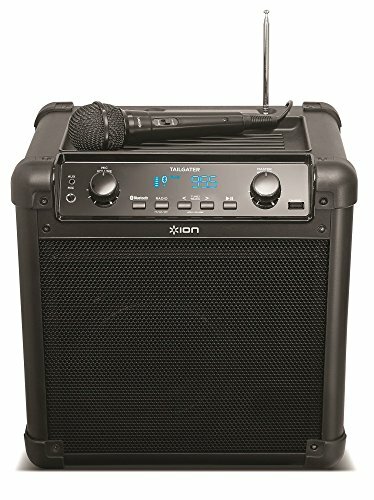 Portable PA systems are used by a variety of professionals, from public speakers and choir masters to gym teachers and public school principals. Some of the more advanced features that portable public address systems utilize include an ability to recharge your smartphone, USB power banks, rechargeable batteries, specialty sound effects, Bluetooth compatibility as well as digital display readouts. One of the ION Audio users writes that he used it at a Woodstock event and the people were so impressed with the music he played that they wondered whether his sound setup was professionally done. While some people may complain that in general the sound quality is not pristine, you need to manage your expectations a bit concerning these rechargeable public address systems- as one user writes, these are exceptional speakers if you want to pump out the jams at a party, beach, and a local park, or some other outdoor area where there is not an electrical outlet. While these are transportable PA systems, it is not as though you can tuck one inside a backpack and lug them to your event- they are fairly large so do need to be accommodated somewhat. That said, one reviewer writes that he is easily able to carry the ION audio with one hand and a six pack in the other. A bassist writes that his PA system functions as an accompanist, like a karaoke machine, when he plays rock music on his guitar and bass. Another deep forest hiker writes of carrying his PA speaker into the forest and pumping out classic rock music to the surprise of other hikers. 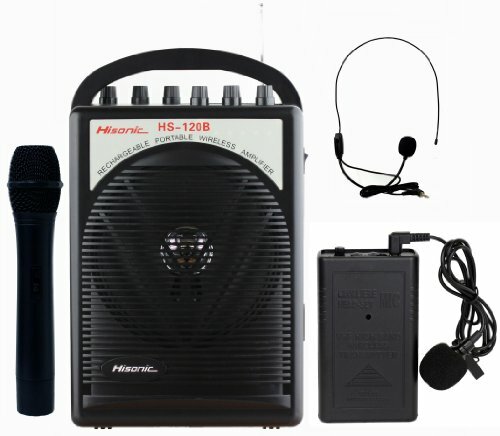 The wireless microphones make it easy and simple to move around the room while you are speaking- this is a favorite feature of many of the people who purchased one of these portable PA systems. A park ranger has described using the Audio 2000s when he is giving lectures to national Park visitors. He writes that it provides loud and clear application of his voice. A motorcyclist who attends large motorcycle rallies describes being able to be heard from over 50 feet away with the Audio 2000s PA system not even at full volume. Make sure to check for warranty information before you purchase and consider purchasing online to access a wider variety of options at lower cost.